This year at the Cannes Lions Festival of Creativity, as in recent years, the world’s most influential technology companies — ranging from Twitter and Pinterest to Oracle and Microsoft — have a marketing presence along the Croisette, the avenue that hugs the beach in Cannes. In introducing his interview with civil rights leader Rev. Jesse Jackson, Richard Edelman, President-CEO of Edelman, said research indicated that consumers, by a margin of two-to-one believed corporations had more power than governments to influence change. Jackson encouraged the 3,000 people attending the session to make change in their own businesses by embracing diversity in hiring. “God alone distributes genius,” Jackson said, “and he distributes genius around the world.” Jackson said the world has changed much in the decades since he was a young man who was barred from his town’s public library because of his skin color. Corporations, he said, have made significant contributions to the changes not only in the U.S. but around the globe. He cited the example of General Motors’ divestment from South Africa, a move that contributed to the downfall of apartheid. Robin Clarke, Global Head of Publicis Media Sport & Entertainment, moderated a panel titled “Man vs Machine.” Joining Robin on the panel was Nico Rosberg, the reigning Formula 1 champion; Adrian Parker, Vice President of Marketing for the Patrón Spirits Company; and Steve Sirich, GM of Bing Ads. The discussion first explored the surprising commonalities between Formula 1 racing and modern marketing: they both leverage a highly data-driven approach. Rosberg spoke about how a change of just 1 millimeter in the height of the chassis could exponentially improve the grip and handling of his Team Mercedes AMG Petronas race car. In that same vein, the marketers talked about the massive dividends of using data to unearth powerful customer insights and deliver exceptional customer experiences. The panel then delved into the question of whether machine learning, automation, and artificial intelligence would replace the human element in both car racing and marketing. Rosberg was emphatic that it wasn't a question of humans vs machines, but rather that machines help humans achieve more. In addition, he believes Formula 1 will have human drivers long into the future, because race fans watch for the human stories and the drama, not just for the sheer performance that technology enables. Sirich and Parker were equally bullish that machines and humans serve complementary roles in marketing. Humans bring storytelling, EQ and heart to empower better marketing, which no machines can replace, but data can certainly enhance. The topic of a YouTube-sponsored session — the refugee crisis in Syria — couldn't have contrasted more with the yachts and lavish parties of Cannes Lions. Because of confusion about the Syrian refugee crisis and empathy fatigue, the UNHCR, the United Nations’ refugee agency, needed help to communicate the dire situation in Syria. So the UNHCR received some help from Google to tell the tale. Drawing on Google’s search data, Andre Le Masurier, Group Creative Director at Google Brand Studio, explained how the company created ‘Searching for Syria’, an interactive experience which used video and data visualization to make the crisis real and tangible. Perhaps the most painful search question identified in the project was “What was Syria like before the war?” Syriabefore the war was a once peaceful country as the top Google searches from 2010 reveal: Arab Idol, bodybuilding, summer fashion, Miley Cyrus. This Google project is a powerful example of how tech platforms can harness their data, audiences, and creativity to engage huge audiences about big issues. 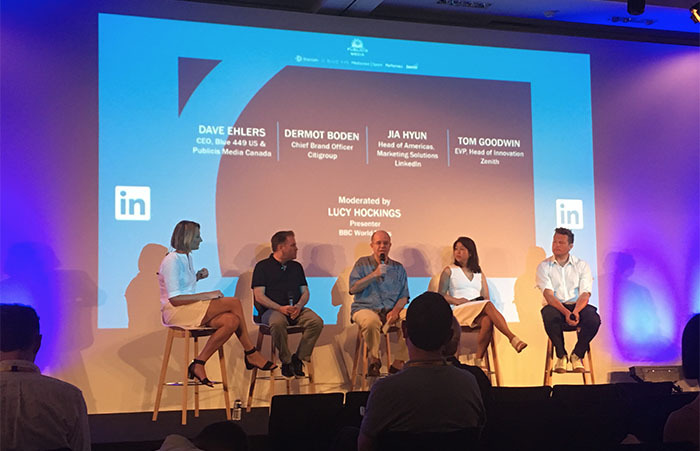 A Publicis Groupe panel, “Keeping It Real in a Surreal World: Bold Brand Stewardship in the Age of Uncertainty,” examined the fragile nature of trust in a brand in the social media world. “In banking, I can’t think of a more important word than ‘trust,’” said panelist Dermot JM Boden, Chief Brand Officer of Citigroup. For any brand, a bad experience for a single customer can be spread far and wide in an instant on social media. 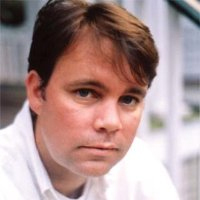 “A happy customer tells 30 people,” said another panelist, Tom Goodwin, Executive VP-Head of Innovation, Zenith Media. “An unhappy customer tells 3,000.” The panelists agreed that a focus on the customer and delivering strong customer experiences is a necessity in this age. “The customer is absolutely king and queen and empress and high priestess,” Jia Hyun, Head of Americas at LinkedIn Marketing Solutions said with a laugh. For more fast-follows and insights from thought leaders at the Cannes Lions Festival of Creativity, subscribe to our blog. Editor's Note: Justin Bates and Keith Ritchey contributed to this post.